Key boxes and key cabinets make managing and finding keys easy and reliable. 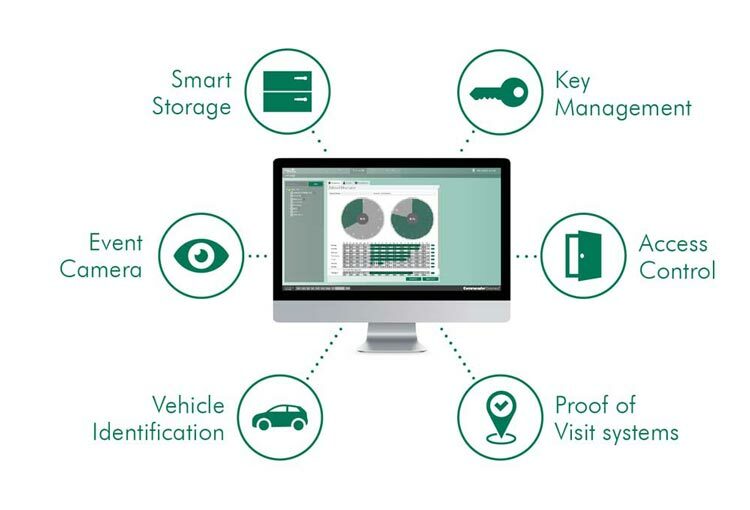 Keys remain a vital part of any security solution yet their importance is often overlooked. They control access to critical areas and high value equipment. An electronic key management system can restrict which people are allowed access to individual keys. This provides an access control system for keys. Knowing who has them, when they have them and where they are means you are always in control and people feel more accountable resulting in fewer lost keys. Implementing a key management system can reduce operational costs and resources by eradicating the manual issue and return of your keys. A variety of features and modules for diverse applications. All access is automatically documented and the information is issued in user definable reports. All cabinets remain operational – even in the case of a power or network failure. The data is stored locally and an integrated emergency battery secures continued operation. The keyTag is the heart of a key management system. Each keyTag has a unique electronic identity. 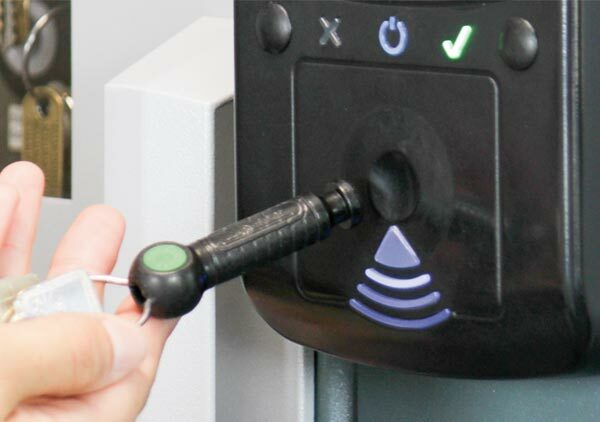 This most important and critical part of the system must perform flawlessly in all environments to ensure access to keys when needed, and proxSafe uses the most advanced identification technology available: RFID. 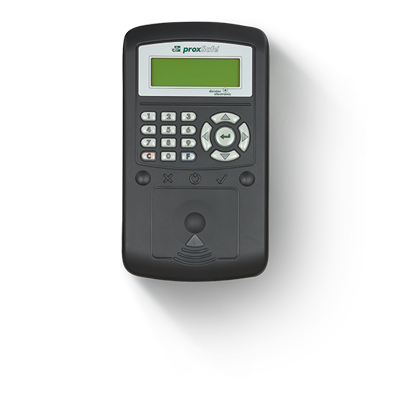 The proxSafe terminal C1 is the simple and intelligent control unit for small key management systems as well as drawers and compartment systems from the proxSafe family. It comes with an administrator ID card to set up the system. Users can identify themselves via a proximity card or entering a PIN. At the terminal, the user selects the desired key using the integrated keypad. The proxSafe system guides the user to the appropriate slot. The proxSafe terminal C2 is the simple and intelligent control unit for small key management systems as well as drawers and compartment systems from the proxSafe family. Users can identify themselves via a proximity card or entering a PIN. The display supports the user in selecting the right key and guides the user to the appropriate slot. After log-in the user selects the desired key either from a list of keys or simply by its slot number. The system will automatically guide the user to the corresponding key slot. The period for key access, the duration for holding the key as well as the maximum number of keys can be limited individually for every user. 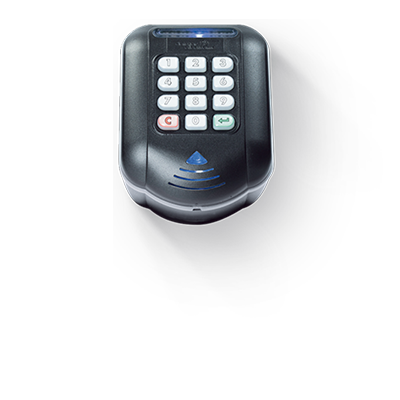 The proxSafe terminal allows quick returning of the keys. The user only has to present the key in front of the optionally available keyTag reader in the terminal. The terminal will identify the key and guide the user to the right slot. 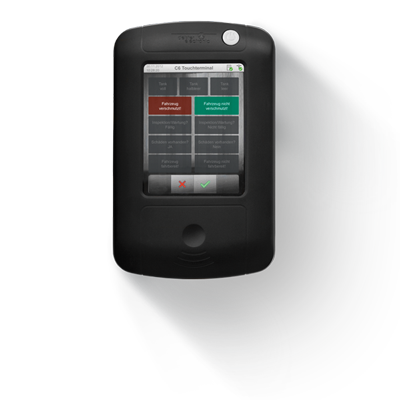 The proxSafe C6 Touch Terminal combines the simple and intelligent operation of the proxSafe terminal with the display and operating functions of a 5.7″ color touch panel with capacitive touch screen. This allows the C6 to provide a user interface similar to a smartphone. The touch terminal C6 is compatible with all key management systems as well as drawers and compartment systems from the proxSafe family. It comes with an administrator ID card to set up the system. 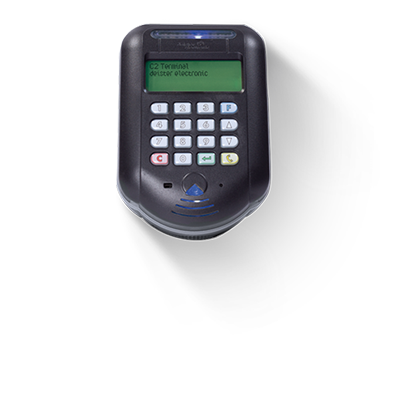 Users can identify themselves via a proximity card or entering a PIN. At the terminal, the user selects the desired key using the integrated keypad. The proxSafe system guides the user to the appropriate slot. The period of access authorization, the duration of withdrawal and the maximum number of removable keys can be set individually for each user. The maxx cabinet blends the functionality of a professional key management system with a sleek design for use in prominent locations. The maxx cabinet allows full control while providing quick and easy access to keys when authorized. The convenient and ultra-reliable automatic roller shutter door keeps keys hidden from view and allows the cabinet to be located in space restricted areas such as a corridor where a conventional hinged door would be a problem due to space. Available with either 32 or 64 keyTag capacity, maxx cabinets can be combined with other maxx or flexx cabinets where additional key storage is required and multiple cabinets can all be managed by the same control terminal. Flexx cabinets are available in a matching range of different sizes (sizes range from 8 keyTag to 324 keyTag capacity per cabinet) with a choice of either a solid steel or window door. The modular design allows a system to be easily adapted specifically for your current needs while leaving options open for future needs. Select a cabinet size, select the right combination of keyTag panels and finally select a control terminal to meet your exact requirements. 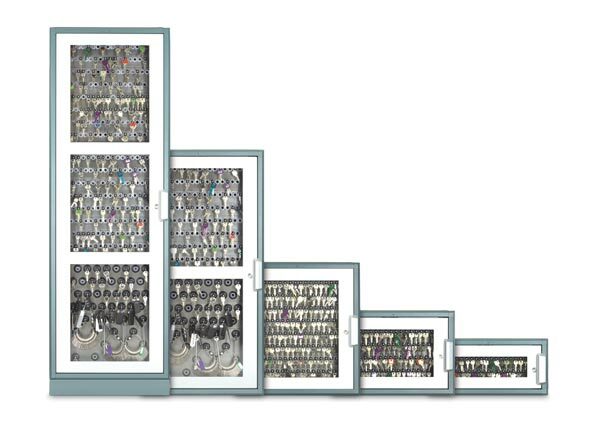 A variety of different internal keyTag panels allows each cabinet to be optimized to suit the different sizes and amounts of keys that are to be controlled. The system can be configured for optimum capacity by using a combination of wider spaced keyTag panels for large key rings that need more space and double density keyTag panels for smaller keys and rings. The keyTag panels can also be changed at any time in the future as needs change. The flexx cabinets allow investment in a system for today that leaves options open for future expansion. Multiple cabinets can be connected together and managed by the same control terminal of your choice. You can expand cabinets or keyTag panels at any time. Our software Commander Connect is a powerful intuitive software platform that allows easy administration of our systems to provide a complete connected system with an environment based on modern system architecture. The deister Commander Connect software has been built as truly web-based with an SQL backend database. Capable of working as a stand-alone system connected directly to your cabinet, it can easily scale up to a corporate setup and will work on a physical computer or in a virtual environment. Restricting access to comply with insurance, safety and training requirements. Driving licensing validity, vehicle mileage and fault logging. Roaming keys are identified at which ever cabinet location they are returned to. Optimize your stock of work equipment and secure their availability. The use of devices is logged precisely, so you can better plan the amount and their use.